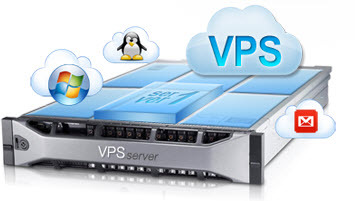 VPS stands for Virtual private server and can best described as a mix of a dedicated server and shared hosting. A VPS have a certain amount of resources dedicated to themselves and can be controlled as a seperate server. You have control over server settings that you can not control on shared hosting and you are free to create your own hosting accounts within the VPS. A VPS will give your several of the benefits you get with a dedicated server but will unfortunately also inherit some of the drawbacks of having shared hosting. A VPS is a lot cheaper then a dedicated server but more expensive then most shared hosting accounts. A VPS is a good choice when your site/sites have outgrown their shared hosting or when you need more control over your hosting environment but don’t feel ready for or cant afford a dedicated server. Many of those who get a VPS will eventual move on to get a dedicated server but the VPS is an important step that allow your site to grow more before you have to pay to often high cost of a dedicated server. I can get a VPS or a slightly larger shared hosting at the same price. Both options suits my websites need. Which option should I choose? In this situation I always recommend that you go with the VPS even if you get slightly less resources. The reason for this is that the resources you get with a VPS is dedicated to you and can not be used by other accounts. 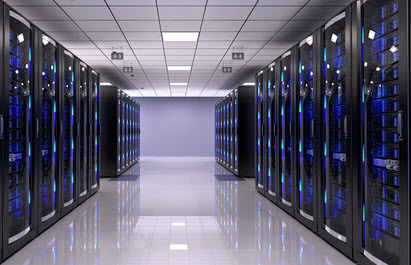 It is common that shared hosting is over sold so that the server do not have the capacity to provide all the accounts with their full allotted resources at the same time. The reason for this is that it is very uncommon that all sites on a server require their full allotment. Most of the time most of the sites only use a fraction of what they have the right to use. The hosts know and benefit from this by overselling the server. This allow them to make more money without spending more on servers. By getting a VPS you eliminate this problem. Should I get a managed or un-managed VPS? A mananged VPN seems more convenient but an un-managed one is lot cheaper. If you need to ask this question then you should always get a managed server. If you are not sure if you have the skill necessary to chose a un-managed VPS then you should always chose a managed VPS. If you know how to do it but value your time, get a managed VPS. 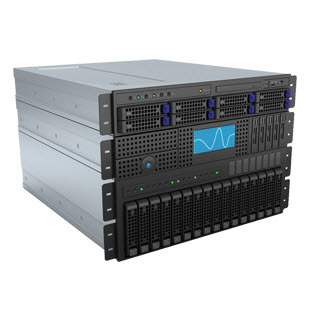 There are times when an un-managed server can be a better options such as when you are going to use the server for something other than regular websites but most users are best of choosing a fully managed VPS where they do not have to worry about anything else than their website. Yes I highly recommend that you get cPanel or Plesk for your virtual server. A control panel allow you to manage the server quickly through a graphical interface similar to windows. If you do not get a control panel then you have to manage your server using text commands. This is a lot harder and take more time. Most webmasters benefit from having a control panel. Is it worth upgrading to a VPS? If your site is running slow on shared hosting then it is almost always worth it to upgrade to a VPS (or all the way to a dedicated server): This especially true if you make money from the site. A VPS will allow the site to run faster and will also give you room to grow until you are large enough to move to a dedicated server. Most hosts will help you move your site to the VPS which makes it a very easy to upgrade to a VPS. A website that that loads faster and is more reliable will attract more visitors and earn more money. Every single second your site is down can cost you a sale and a lot of money if that is the second a potential customers tries to visit your website. If your website loads slowly then he might chose to go to your competitor instead since your site wont load fast enough. You can lose up to 50% of all visitors if your site takes more than 3 seconds to load. The faster it loads the more visitors you get. You should always use a VPS or better if you run a casino, cfd or binary options website. In these niches you lose a lot of money if a single sale slips through your fingers. The website in the link above asked us for help to improve their hosting situation. They were able to reduce bounce rate by 5% and revenue by 15% by upgrading to a top of the line VPS server. They are paying more fore hosting then they used to be but they also earn a lot more. The cost to upgrade the server was more than worth it for them.